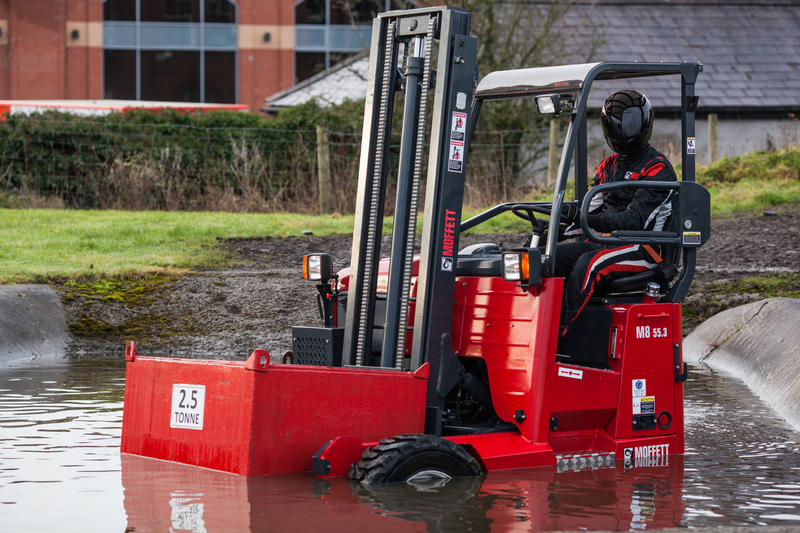 As part of its 70th anniversary celebrations, MOFFETT, part of Cargotec's Hiab business area, will host the inaugural MOFFETT World Championship. 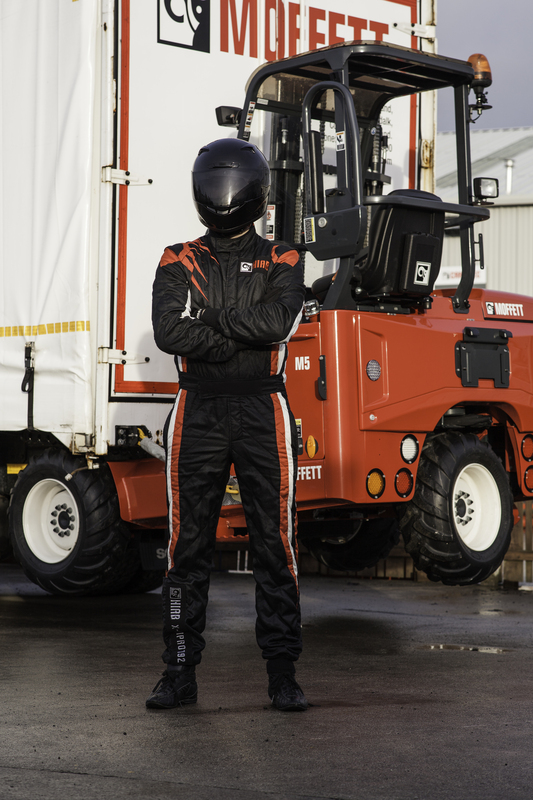 The competition is the first such contest ever to be held in the world of truck-mounted forklift truck driving, and is open to all owners and operators of MOFFETT truck-mounted forklift trucks. "As the market-leader in truck-mounted forklifts, this competition is the ideal way to challenge MOFFETT truck operators, who are our ambassadors worldwide, to hone and demonstrate the skill with which they use MOFFETT equipment in their everyday working lives, delivering goods to their customers," says Keith Quigley, Senior Vice President, Truck- Mounted Forklifts, Hiab. Qualification rounds begin this April, with the final to be held in Dundalk, Ireland on 23-25 October 2015. Heats will be held in Australia, Germany, France, the UK, Ireland, the USA, South Africa, Sweden, Finland, and The Netherlands, with more MOFFETT markets currently signing up to participate too. The winner and runners-up will each win a specially made trophy, and decals to put on their MOFFETT back home, declaring them Operators of the Year 2015. Plus, they will also win the chance to nominate a favourite local charity to receive a share of the money raised in the MOFFETT 70th anniversary charity auction. And if anyone needs to see what a real expert is capable of, MOFFETT will have their very own professional, the Mystery MOFFETT Operator, on hand to demonstrate what the perfect round looks like. (In case you were wondering, it's 5 minutes and 30 seconds, with zero penalties.) 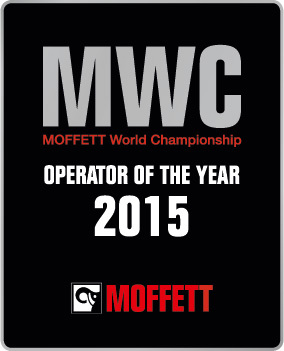 "Have you got the skills and nerve to challenge the Mystery MOFFETT Operator and be crowned Operator of the Year 2015?" he asks. "This competition is not for the faint hearted," says Quigley. "We invite our MOFFETT ambassadors to step up to the challenge, and show everyone just how good they are. But only the best will have the chance to challenge the Mystery MOFFETT Operator on his home turf." For further information on how MOFFETT will celebrate its 70th anniversary, plus details of how to participate in the MOFFETT World Championship, please go to moffettjubilee.com.